A nine-year hiatus can be a double-edged sword for a band; on one side the break can revitalize the motivations and passions in a group, allowing for something fresh and exciting to happen once the energies are recharged. On the other, it can doom a band to a fading audience and forgotten status. 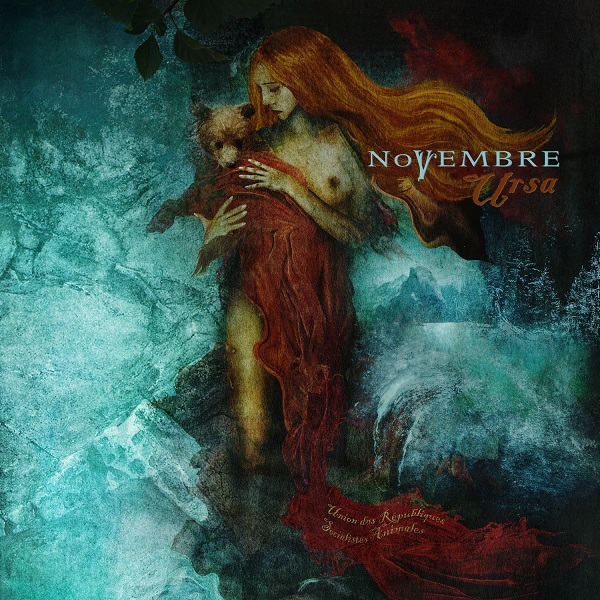 Thankfully, Italian melodic death/doom group Novembre seems able to have their cake and eat it too, as the hiatus since their last effort, 2007’s The Blue, has not diminished their standing within the progressive metal community. Indeed, it is not difficult at all to come across a review or article for a contemporary doom album containing a reference to the melancholic metallers. Along with that mainstay status in relevance the band’s newest record, the recently released URSA, sees a strengthened and inspired continuation of their unique brand of melodic metal. While largely a continuation from The Blue in terms of style and substance, the new album does have a life of its own, largely in its ability to exploit the compositional trademarks that the band has adopted since 2006’s Materia. Most of the strong melody is found in the ‘cleaner’ sections, where Carmelo Orlando’s singing vocals are backed by emotive guitar passages, piano accents, and plenty of layered atmosphere. The ‘heavier’ sections more often than not come at the build-up of guitars and climaxing vocal melodies; the former featuring a thick and crunchy overdrive while still maintaining a discernible tone, and the latter reminiscent of Grutle Kjellson’s (Enslaved) vicious snarls. While descriptions of the band’s style like the one above can convey the image of a strictly two-pronged approach to building songs, this is actually quite far from accurate, as Novembre’s approach is one of wide musical scope, using differing styles to complement each other. 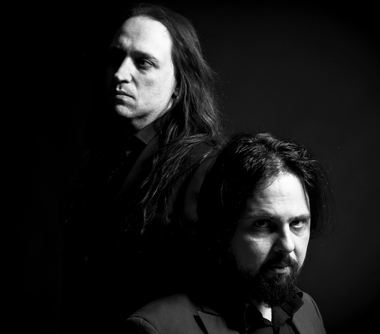 It is this interplay of sonic dichotomies that best underscores the album’s cohesiveness and songwriting prowess; while the two-pallette approach of light and heavy on most contemporary doom records is an either/or affair, splitting songs and even album sections by tonal approach, Novembre are able to deftly meld their musical personalities into a seamless tapestry where one can overlap the other with little noticeability. This is done largely without formula, allowing the writing to flow where it must, which contributes strongly to URSA’s natural feel. Each song is given its own identity and its own space to grow, whether it’s the grandiosity of opener ‘Australis’ or the quirky shanty feel of ‘Agathae’s plucky opening melody. There is also more strength in each song by the way they are able to capitalize on the ideas laid out within them; there were many times on the previous The Blue that felt like songs were travelling towards a peak they didn’t quite reach in the end. That largely isn’t the case with what the new album has to offer, as each track feels fully formed and realized, each section resolving itself into the next smoothly without without feeling like the next logical step was ever missed. URSA is also complemented by a fantastic production in the recording of it; with a music as dynamically broad as Novembre’s a spacious mix is an absolute necessity and engineer Massimiliano Pagliuso deserves credit for delivering just that. It also helps to have the mastering handled by someone as familiar with this type of music as Dan Swanö (Katatonia, Witherscape, Opeth, Bloodbath, and so forth). Every song has multiple textures weaving together, (heavy/clean guitars playing over each other, bass, piano accents, drums, etc.) and each is handled well in the mix, though there are times when Fabio Fraschini’s bass could have been allowed more headroom. Whether taken as whole or by individual songs, URSA is a gorgeously crafted work of music that hefts its beauty with a heavy hand. While it falls short of the ‘masterpiece’ moniker, it does give the sense that the band’s epitome isn’t far off into the horizon when charting the trajectory of the last three or four records. A long hiatus and roster change certainly has not diminished the capabilities of one of the heavy metal genre’s most pertinent melodic doom bands, rather it seems that they have not only been able to pick up where they left off but to also take the music to slightly higher level. Though the wait for URSA proved worthwhile, hopefully listeners won’t be subject to it again, because one gets the sense that the next effort will be another gem. Conclusion: URSA is a natural and well-crafted continuation in the catalog of a mainstay band in atmospheric doom and progressive metal.